Few weeks ago, Oppo N1 teaser came out indicating that the phone might have a back touch panel as well plus some other details regarding the release date of the Oppo N1 surfaced with it. But now the official promo image of Oppo N1 leaked online along with retail packaging of the device. If some of you don’t know, Oppo is expected to announce the N1 on September 23 in an event in Beijing, China. 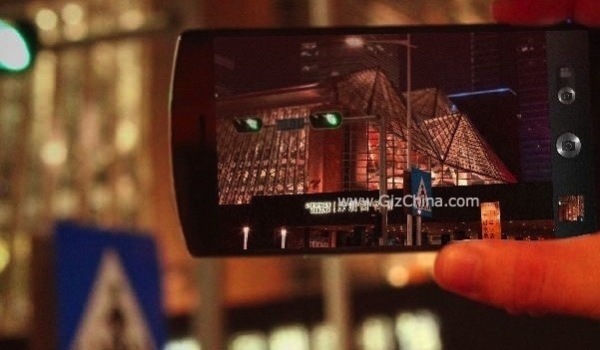 Talking about the image leaked, it’s the first image that is showing the Oppo N1 device in full. The image shows the slight rounded curved body and slim bezel around the display and also shows the camera software. Oppo N1 is said to have 12MP camera with a new N Lens that helps capturing images with long exposure and also captures good pictures in low light using this technology. The device also has an Owl chip and Xenon flash that also helps in rendering the picture into a better output after the image has been shot. Many manufacturers are now focusing on camera department. Just like we saw with the Moto X render software, although it works bad in some cases but does best in normal light. 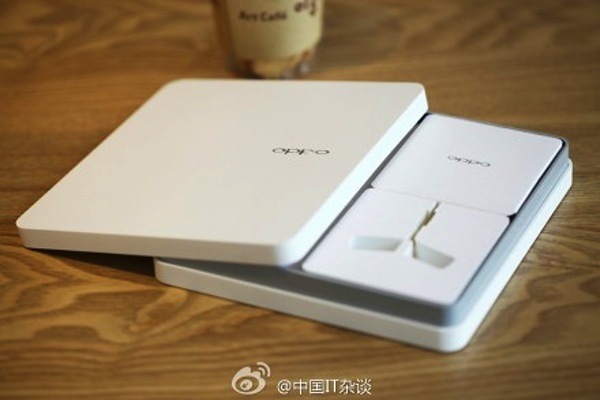 Besides the promo image leak, retail boxing of the Oppo N1 also appeared online on a Chinese website showing the elegant white colored box of the Oppo N1. To be honest, this is one of the coolest boxes we have seen so far, providing both elegant touch and finishing. Oppo N1 will be the next flagship device of the company and it appears that the N1 will live up to the mark. Considering the hugely sized screen of the device, the thin bezels on the side of the screen makes it easy to carry and use with one hand and a thumb. Oppo N1 is expected to go on sale for CNY4000 ($649). Some might think that for a device that expensive, one might get a more luxurious device like an iPhone 5S but we still have to wait and see what other things Oppo N1 has to offer before making the final decision.